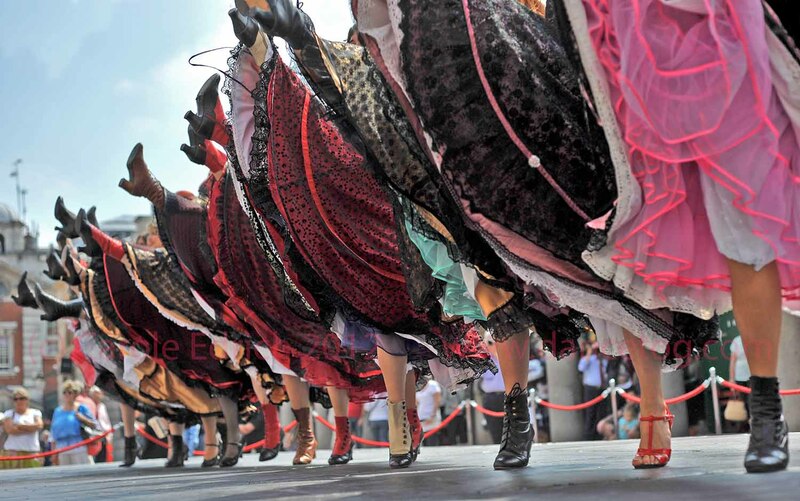 Something of a change today, a fairly conventional shot of Can-Can dancers in Covent Garden. They were performing to celebrate the opening of celebrity chef Raymond Blanc’s new Brasserie Blanc. Nothing to do with Big Dance or the Jubilee, just another day in London.